With a three-week schedule of 53 performances in concert halls and clubs across the city, Seattle’s Earshot Festival presented listeners with difficult choices. On this evening, Charlap and Hobbs were in competition with each other and with Luciana Souza, Bobo Stenson, Ravi Coltrane and pianists Robin Holcomb and Wayne Horvitz. Apart from Earshot, downstairs from Charlap’s trio in Benaroya Hall the Seattle Symphony Orchestra was offering Rachmaninov and Prokofiev. Paul McCartney drew thousands to the massive Key Arena. Charlap attracted to the elegant recital hall a couple of hundred rapt listeners whose attentiveness was rewarded. 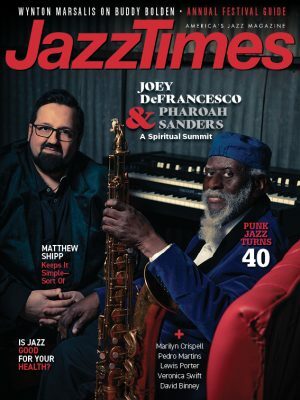 The pianist, bassist Peter Washington and drummer Kenny Washington worked from the Gershwin and Bernstein song books that provided material for their two most recent Blue Note CDs. Nearly a year after recording the Gershwin and two after the Bernstein, the trio are as one with the material. Performed frequently, the arrangements have inevitably assumed something of the nature of set pieces, but on this night the creative playing they contained was anything but routine. In a pre-concert talk, Charlap discussed Gershwin’s place in musical theater and in jazz. He then drew from the deep store of melodies and harmonic possibilities that is Gershwin’s legacy to improvising musicians. From the first blowing chorus on “Who Cares?” the trio locked into one another. The Washingtons are brothers in time, Kenny exemplifying with his mastery of brushes his lineage from Jo Jones, Kenny Clarke and Philly Joe Jones, Peter recalling such sturdy predecessors as Paul Chambers and Doug Watkins. The complexity and clarity of Charlap’s work and the trio’s unity were compelling, nearly mesmerizing. Their listeners were frequently so engrossed that they abandoned the self-conscious rote clapping after each solo that jazz audiences have come to believe is an obligation. The audience’s concentration on the music was a far greater expression of appreciation than little explosions of applause. In “A Foggy Day,” Charlap produced magic with his chords, his touch and his ability to maintain intensity through the quietest changes in dynamics. Following the melody chorus of “Somebody Loves Me,” he launched the trio into improvisation with a run that had the force of a booster rocket. Peter Washington’s choruses on the piece were a triumph of thematic development. Charlap’s unaccompanied solo on “I Was So Young, You Were So Beautiful ended with a single note in the bass register that was discordant — and absolutely right. In his lecture earlier, he mentioned Schoenberg, who may still have been on his mind. Bernstein’s “Glitter and be Gay” led Charlap to a pointillistic — not to say scattered — solo, surprising and full of charm. The physicality he brings to playing was dramatic in “It’s Love,” not only in his hands on the keyboard, but also in the spring of his body moving with the time and the tautness of the skin and muscles in his face and neck as he poured himself into the performance. In “Lonely Town,” he developed contiguous chains of 16th-note inventions built not on bebop quotes, but growing out of genuine bop creativity. Peter Washington followed with another admirable solo, spectacular only in its musicality. 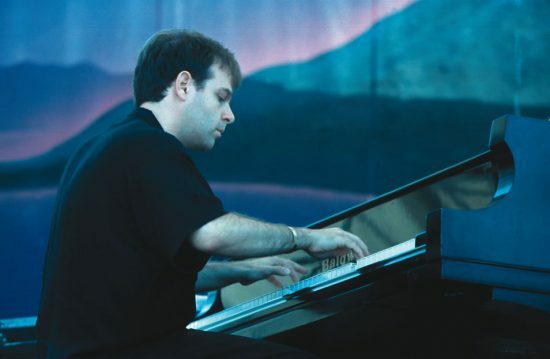 Charlap ended the piece profoundly, then allowed the piano to ring until the final notes decayed into silence as the audience seemed to hold its breath. Kenny Washington introduced “America” with a concentration of Latin energy and virtuosity. He made his drum kit a virtual timbales set. Charlap followed with a solo saturated in descarga spirit and Cuban rhythm. He may have a portion of Valdes blood in his veins. Charlap and Kenny W. became a full-blown percussion section. It was a thrilling performance. There were two more Bernstein pieces, “Somewhere” and “The Jet Song,” then the trio was called back for an encore. It was a blues with Charlie Parker’s altered changes. A few choruses, and the cap was on a superb concert. Surely, there is no more tightly joined trio in music today. At Tula’s, former Stan Kenton drummer Gary Hobbs, one of the busiest musicians in the Pacific Northwest, led a quintet with pianist Marc Seales, bassist Chuck Deardorf, trombonist Jeff Uusitalo and saxophonist Rich Cole. Hobbs combines technical precision, a love of risk-taking and a taste for the exotic. He has incorporated into his set a variation on the cajon, the wooden percussion box used in flamenco and played with the hands. He soloed impressively on it in the Latin piece introduced as “La Samba.” The repertoire was mainstream, with an adventurous edge emphasized in Joe Henderson’s “Caribbean Fire Dance.” Seales and Deardorf played electric instruments, grooving behind Cole and Uusitalo as they swam in the modal sea. Hobbs expanded to a sextet when he called guitarist Fred Hamilton out of the audience. The lanky, prematurely white-haired University of North Texas professor upended the notion that those who can’t, teach. He had help in that area; Seales heads the jazz department at the University of Washington School of Music, Deardorf holds the same position at the Cornish College of the Arts, Hobbs teaches at the University of Oregon. Hamilton enriched the ensemble and improvised at a high level throughout the set. His funky solo on Monk’s “Bemsha Swing” perfectly suited the boogaloo aspect of joy with which Hobbs infected the piece. When the band played “Secret Noodles of Love,” Uusitalo’s devilishly demanding bebop line on the changes of “My Secret Love,” Hamilton met the piece for the first time, flawlessly sight-reading over Cole’s shoulder and transposing from the tenor sax part. Cole’s unaccompanied introduction to “In a Sentimental Mood” set up his loving exposition of the melody and a Seales solo of intense, spare beauty that was the highlight of the set. Through it and the fine Cole solo that followed, Hobbs operated his brushes ecstatically, brightening the room with a beatific grin that may have reflected the satisfaction the band’s performance was giving his listeners.